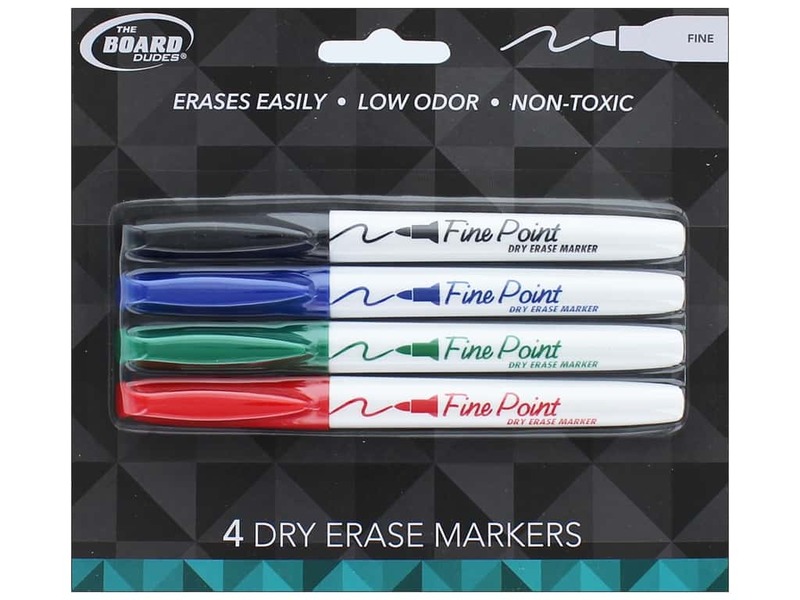 Description: The Board Dudes Dry Erase Markers can be used on dry-erase boards, glass, and most non-porous surfaces. Works for messages and presentations They are long lasting with durable tips. Erase easily, quick drying, have low odor ink, are non-squeak and non-toxic. Re-cap markers when not in use. Do not shake and store horizontally. Fine Point. Includes Blue, Black, Green and Red. 4 pc. See more The Board Dudes Accessories.